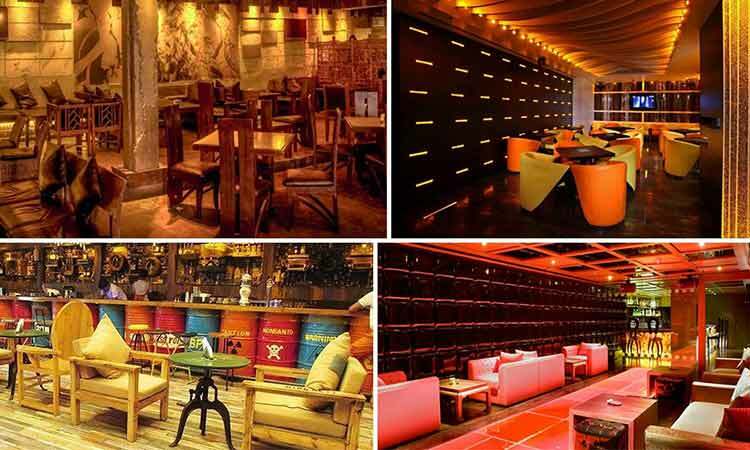 Dilwalon ki Delhi knows how to kicks in and give a good time to those who are looking for parties that are full of jazz. Needless to say, the city is full of amazing bars, cafes, lounges, and pubs. Point to any lane in Delhi, you will get to see at least 10’s of them in the row. 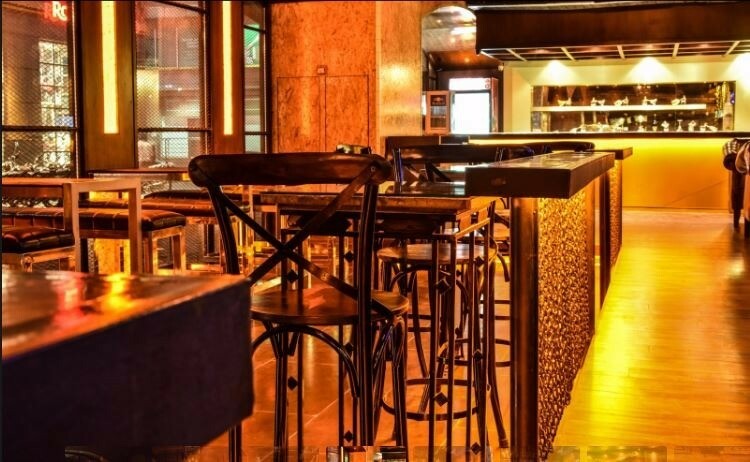 The number of these bars being high, we are going to narrow down our list and present to you the list of top 10 bars in Delhi. Let us proceed !! The old school touch to the bar and its exquisite ambiance takes all the brownie points! The Blue Bar is a perfect bar that does serve a number of lip-smacking cocktails. The bar also has a swimming pool t touch up the hot-shot appearance. Address: Taj Palace hotel, Sardar Patel Marg, New Delhi. When it comes to counting luxurious bars in the town, Shiro takes all the points. 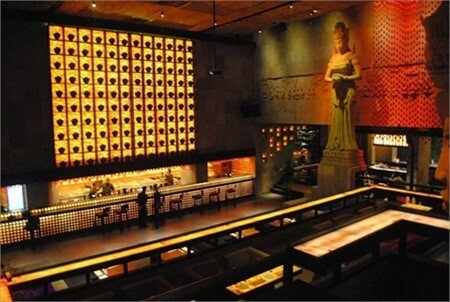 Shiro is located in The Samrat hotel, Delhi and is famous for serving multi-cuisine dishes. You should totally check out the variety of cocktails that they offer! Address: Hotel Samrat, 50B, Lobby Level, Kautilya Marg, Chanakyapuri, Delhi. RSVP @ Tapas is known for its reasonably priced cocktails and good music. If you are a student and are low on your budget but still want to have a good time with your friends. Navigate your way to RSVP@Tapas and to enjoy the weekend vibes! Address: Jaypee Vasant Continental, Munirka Marg, Vasant Vihar, Delhi. One of the most common places in South Delhi to chill at is “My Bar”. Be it serving medium dry wines or vintage whiskeys, this place has got it all. Next time when you discuss places to go in Delhi, keep this one in mind for sure. Address: G68, Opposite Alka Hotel, Outer Circle, Connaught Place, New Delhi. A Gorgeous sight, vintage wines, good music, and of course a place to chill for hookah lovers, Lighthouse 13 can be clearly described with these adjectives. 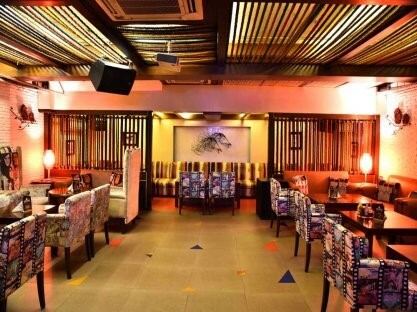 Situated in one of the best places in Delhi, you should totally check out Lighthouse 13 if you want to have a blast. Address: New Sharma Tent & Light House12/13, Baird Lane MarketBaird Ln, Delhi. It is a bar which is exclusively designed for people who admire a piece of art and creativity. Old radios, cycles, junks, tin-cans, and a lot of other trashy things have creatively been assembled and used to deploy a top-notch decor of this cafe and bar. Address: 91 N Block, Connaught Place, Delhi. Don’t go by the literal meaning of the name of this café, The Summer House Café in Delhi is open all seasons. This place will surely make you feel as if you are on a vacation with its delicious food, good drinks, and summer-styled ambiance. Address: DDA Shopping Complex, Aurobindo Market, Hauz Khas, Delhi. If you are the one who wouldn’t mind enjoying occasional music mini-concerts of young and talented people then do check this place out. 1Boulevard keeps hosting stand-up comedy gigs and a lot more. Head towards this bar very soon! Address: Rasvilas, Saket District Centre, New Delhi. Uber Lounge is one of those places which gets stuck in one’s memory once they check it out. The people there know how to take care of different sets of interest of different people altogether. Address: M-42, Greater Kailash Phase- 2, Main Market, Delhi. ittu Su is located at one of the poshest hotels in the town, The Lalit. Need I say more about the place? Kitty Su is a luxurious bar which serves exquisite cocktails, yummy delicacies, and a lot more. Near Barakhamba Metro Station, Connaught Palace, Delhi.